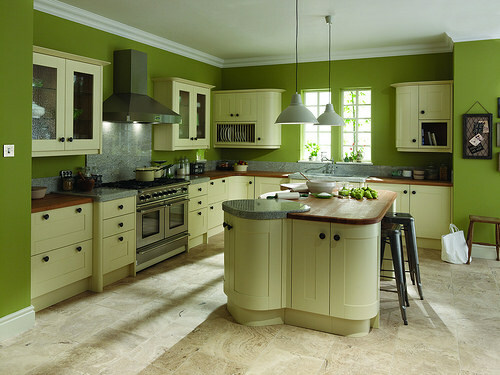 When choosing kitchen cabinet handles and knobs, it is important to ensure high standard design and quality. Because of repeat use, test the ease of use. Test durability, appearance, and feel of the kitchen cabinet knobs and handles you intend to purchase. Ensure the grip is ideal for your entire household. Consider household members with big hands and the elderly who suffer from arthritis. Find out the material and if they have a warranty. 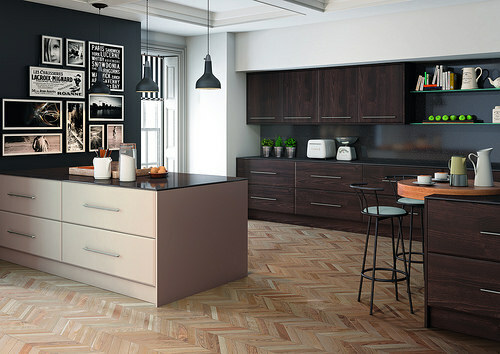 Think about your overall kitchen style and feel. The kitchen cabinet handles and knobs you settle on will impact the overall feel and theme of your kitchen. Using simple kitchen cabinet knobs or handles on minimalistic cabinets that feature flat-fronted doors and drawer fronts will bring out an elegant and modern look. Consider softly curved barrel handles or slim rectangular bar handles for your kitchen. Flush end handles are better compared to handles with ends that are sticking out. This is mainly because the latter might catch your knees or clothes. 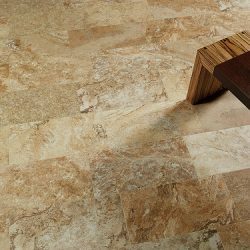 Once you settle on the style, determining the finish is a lot easier. Kitchen cabinet hardware is available in a variety of finishes, such as brass, glass, pewter, and stainless steel. Consider the elements of your overall kitchen design when choosing the style and finish of your kitchen cabinet knobs and handles. Black handles complement light gray cabinets. They would perfectly tie in with black kitchen appliances. Matching your cabinet hardware to sink taps or your countertop helps to tie the kitchen’s look together. Polished chrome cabinet hardware can be used with a polished chrome tap. Brushed stainless-steel cabinet hardware can match the stainless-steel finish of your kitchen appliances or sink. In an ornate kitchen, glass knobs and handles can create quite an amazing finish. Handles and knobs can easily be replaced. Don’t be afraid to try out something different. Kitchen cabinet handles and knobs are mostly available in different sizes. Whether or not you mix sizes is really a matter of personal choice and taste. Even if your kitchen cabinets are of different sizes, using same-sized kitchen cabinet knobs and handles throughout your kitchen creates a less busy and more consistent appearance. Going for handles and knobs that are neither too short on the long cabinets nor too long on the shorter ones is also an excellent idea. 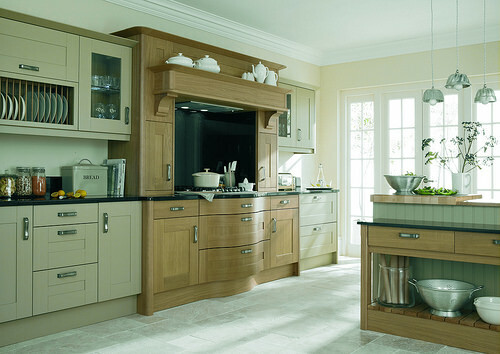 If you are unsure about the right size, seek advice from your supplier or kitchen designer. Make sure that neither kitchen cabinet handles nor knobs are screwed on to any of the cabinets until all of your kitchen cabinetry have been successfully installed. This gives you the opportunity to stand and hold the handles or knobs against the drawers or cabinet doors in your new kitchen to try out the different positions possible. The general rule for cabinet handles is that they are placed vertically on cabinet doors and horizontally on pull-out drawers. When creating a modern and streamlined appearance for your kitchen area, consider horizontally installing the handles on your cabinet doors. Using a horizontal handle to open a door feels less natural when compared to using a vertically installed handle. Still, trying it out before you make a decision cannot hurt. Be sure kitchen cabinet knobs and handles are properly installed. It’s important they do not hit each other whenever you open your kitchen cabinets. This is a vital consideration. It is important, especially when adding handles and knobs to a new kitchen. If you prefer a smaller number of handles or knobs in your kitchen, install handles only on the base drawers and cabinets. Leave all the overhead doors without handles. This is an alternate way to create a less busy and more modern feel in your kitchen. A recessed lip at the top of cabinet doors and drawer fronts creates a channel. This enables you to open the cabinets and drawers without having to install handles. Regrettably, crumbs and dust particles easily gather inside such channels. The alternative is a push-to-open mechanism. This is more of an option for those with an unlimited budget. 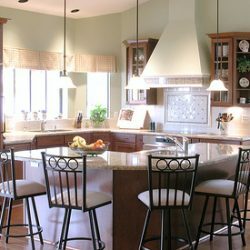 For advice on top quality kitchen cabinet hardware, kitchen remodels, and free estimates, contact HomeArtTile. We also offer quick and reliable delivery services to residents of Manhattan, Brooklyn, and Queens.